What do you get when you combine an important fund raising activity with impressive architecture, design and building techniques? It’s the “Home of Distinction” of Columbus Ohio. This home built by Cua Homes (a luxury home builder), was selected to be the first “Homes of Distinction” project in Central Ohio with all of the tour proceeds going to Children’s Hospital. 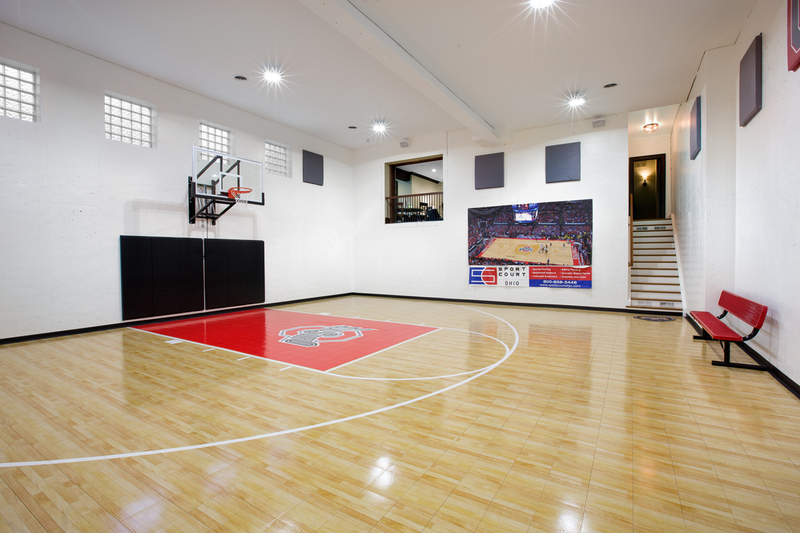 In this article I’ll feature just one of the impressive rooms in this project – an Ohio State University inspired home gym/basketball court/future media room. Why a home gym? When you put in a 19’ tall basketball court/home gym (which is not the least expensive room to build) there has to be a good reason why. In this case the owners have 3 grade school children and they liked the idea of them being able to entertain their friends (having sleepovers, parties etc.) at their house – as a father of 3 myself I can totally understand this logic! 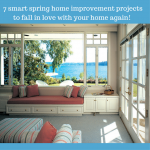 Impressive features abound – A large concrete structure like this is not very exciting until you add the features which make it a distinctive home gymnasium – let’s explore some of those features. 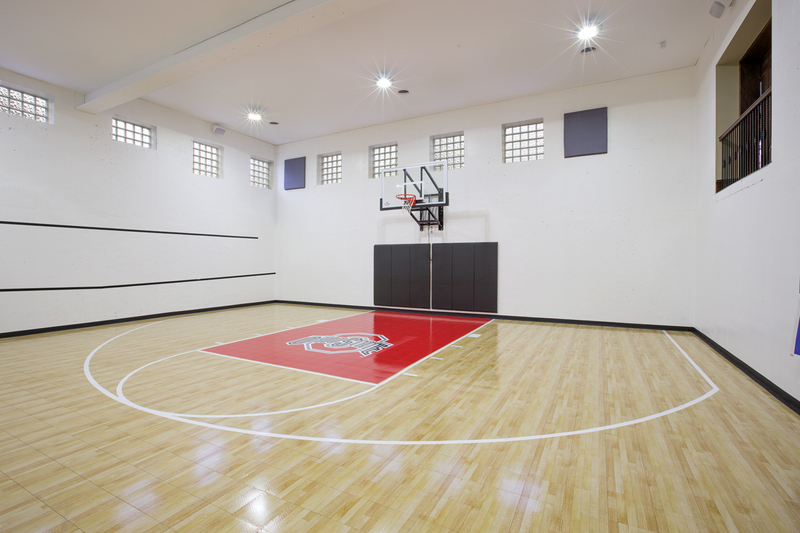 · A realistic Ohio State basketball court – An OSU themed basketball court would not make sense without the OSU log and an impressive floor. 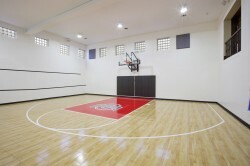 This court was designed by Sport Court Ohio which specializes in home gyms. · Let there be light – natural and LED – Since 2/3 of the 19’ gym is below grade the goal was to make this lower level space feel bright and airy. 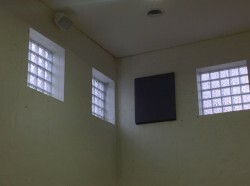 Tom Cua (President of Cua Builders) recommended the use of 9 large glass block windows (which were supplied and installed by the Columbus Glass Block division of Innovate Building Solutions). 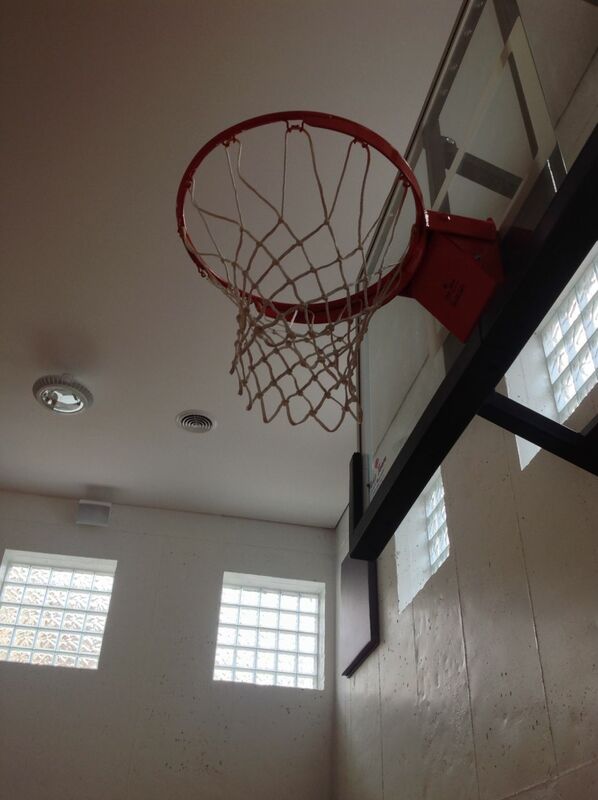 The 40” x 40” and 40” x 24” windows are built to protect against any errant shots and are easy to clean. In addition 6 LED motion controlled lighting fixtures were added to fully illuminate the space. Glass block windows and LED lights to brighten up the court! · An adjoining room …with a view – Instead of closing this lower level space off it was visually “connected” to an entertainment room with a larger opening with operable “barn doors” – how cool is that? · Wired for entertainment – This home gym has been pre-wired to accommodate a large projection screen which may be added in the future – a home gym and a movie theater in one! · A “sound” and “sound deadened” foundation – Designing a massive concrete structure which would allow a clear span, would support the rooms above, and would not sound like an echo chamber was critical. To make this room structurally sound high strength LVL (laminated veneer lumber) beams where used around the basement’s perimeter and attached to the sides of the foundation. In addition a larger I beam spanned the length of the room. To eliminate the echo several sound deadening panels were added. What questions do you have about this Columbus home gym? Please comment below or call on the numbers below. 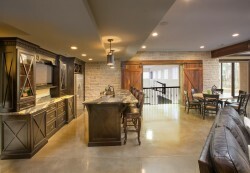 For help with a custom home building project in Columbus call Cua Builders at 614-419-0691. 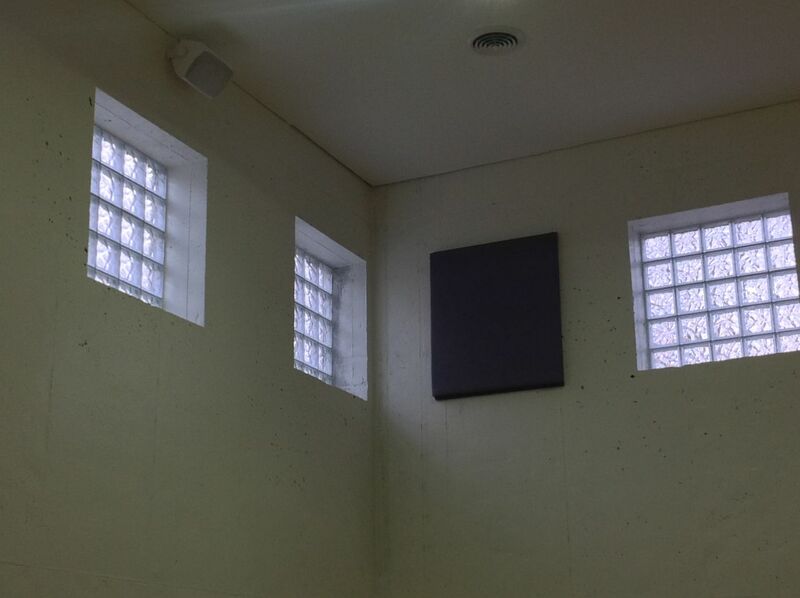 To learn more about the glass block windows or wall projects call Innovate Building Solutions on a nationwide basis (877-668-5888) or for a local project their divisions including Columbus Glass Block (614-252-5888), Cleveland Glass Block (216-531-6363), West Side Glass Block (216-398-1020) or Mid America Glass Block (513-742-5900) of Cincinnati or Dayton and Akron (330-633-2900).